1. At least 3 months before the examination, the supervisor determines at least two, but preferably three, dates and times (morning vs. afternoon is specific enough) when the student and everyone on the thesis committee can be present. The supervisor provides the Director of Graduate Studies (DGS) with these dates and times, the title of the student’s thesis, and the names of three possible external appraisers, in ranked order. The supervisor also provides the DGS with suggestions of at least two colleagues who could serve as “internal externals”—members of the department who have not served on the candidate’s thesis committee. The external appraiser needs to be officially invited and approved by the School of Graduate Studies before scheduling can proceed. It is desirable to find an external appraiser who can participate in the Final Oral Examination, either in person or by phone. Under current SGS quorum rules, at least two voting members of the Final Oral Examination committee must be from outside the student’s supervisory committee: typically, these two members include the external appraiser (from outside the University of Toronto) and the “internal external” (see above). If the external appraiser cannot participate in the Final Oral Examination (either in person or by phone), then at least two internal externals will have to be appointed to the student’s Final Oral Examination committee to satisfy quorum. A maximum of two people can participate in the Final Oral Examination by telephone. The external appraiser must be external to the university as well as to its affiliated teaching hospitals and their research institutes. 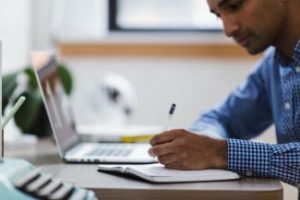 The external appraiser must be a recognized expert on the subject of the thesis, and an associate or full professor at his/her home institution. An examiner from outside the academic sector must possess the qualifications to be appointed to an academic position at this level. The external appraiser must be at arm’s length from both the candidate and the supervisor(s). Normally, this will exclude anyone who: has served as PhD supervisor/supervisee of the candidate or the supervisor, or has, in the past six years, been a departmental colleague of the candidate or the supervisor, or has collaborated on a research project, scholarly work, or publication with either of them. The Vice-Dean (Programs), in considering nominations of external appraisers, will assess whether the nominee is at arm’s length. 2. Because of new quorum rules, the department strongly advises finding an external appraiser who is willing to participate in the Final Oral Examination and vote. However, it is possible for an external appraiser to only appraise, and not participate in the Final Oral Examination or vote, as long as there are two non-supervisory faculty lined up to participate in the defence. The external appraiser writes a report and receives an honorarium of $100. The university provides a maximum of $500 in travel expenses for external appraisers who come to the defence in person to serve as examiners. Any additional expenses are to be covered by the supervisor or members of the student’s committee. To minimize confusion, we ask that the supervisor be responsible for collecting receipts from the external appraiser. Please give all receipts to the department’s Business Officer with a note stating clearly which funding sources should be used for which expenses. 3. At least seven weeks before the defence, the student submits a Thesis Submission Form and five (or six if there is a co-supervisor or more than two readers on the committee) coil-bound copies of the dissertation to the Graduate Administrator, who ensures that the desired date and time are available in the SGS calendar. The Graduate Administrator cannot formally schedule the exam until s/he has the bound copies in hand. The Graduate Administrator will send the bound thesis to the external appraiser and then forward the appraiser’s report to the student and all committee members as soon as it arrives. 4. After receiving the scheduling request from the Graduate Administrator, SGS will secure a faculty member from another department to chair the defence. The chair’s name will be sent to the student and all committee members in advance of the exam. ⚠ The SGS website provides detailed information about the constitution of the examination committee, number of voting members required, in their Guidelines for the Doctoral Final Oral Examination.